You're about to discover a proven strategy on how to understand and overcome your Metabolic Syndrome issues for the rest of your life. Millions of people suffer from symptoms of Metabolic Syndrome at some point in their life and throw away their personal and professional success because of it. Most people realize how much of a problem this is, but are unable to change their situation, simply because they don't have the proper information to work with. The truth is, if you are suffering from Metabolic Syndrome and haven't been able to change, it's because you are lacking an effective strategy and understanding of what steps you need to take. 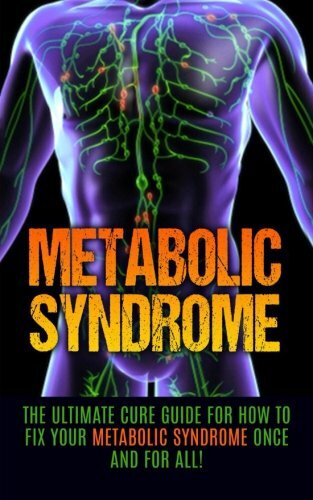 This book goes into ways that Metabolic Syndrome can originate, the different symptoms you will feel, how your lifestyle affects your Metabolic Syndrome, and a step-by-step strategy that will help you free yourself from the issues and take control of your life.